World War II remains in the imagination of the American public as a triumph over evil and the emergence of America’s dominant role in the world. Seldom asked is: What was the emotional and spiritual cost for the men who fought? Leo, Harold and Paul, like most soldiers, returned to civilian life and seemed to block out the traumas. They discovered their memories of war could be isolated, encapsulated, and seemingly locked in the past. Through interviews with these three men, we recount their experience in all of its original detail - revisiting their shared memories and releasing stories from the clutches of decades of silence. In a time in which we find ourselves, as a nation, in a state of perpetual war, “Leo, Harold and Paul: Three American Soldiers in World War II” is especially poignant and reveals the hidden consequences of asking citizens to take human lives. Leo Litwak, Harold Kozloff and Paul Mico were drafted into the U.S. Army and swept into World War II as infantrymen. Leo was chosen to be trained as a medic. Once in combat he discovered his vocation was provide aid to soldiers wounded in battle, and was profoundly relieved he was spared the obligation to kill. Jewish and aware of Nazi persecution and the holocaust, he came to the aid of the dying - whether they were German or American. Leo never lost his compassion for all those caught in the storms of battle. While on the ground, amid the sounds of rifle fire, machine guns, bombs and mortars, Harold Kozloff transformed into an aggressive warrior. He found himself with a taste for killing, with rage and lust; he was good at it. His Jewish heritage fed his hatred of the Nazis. After he participated in the liberation of a slave camp, he helped the prisoners take revenge. 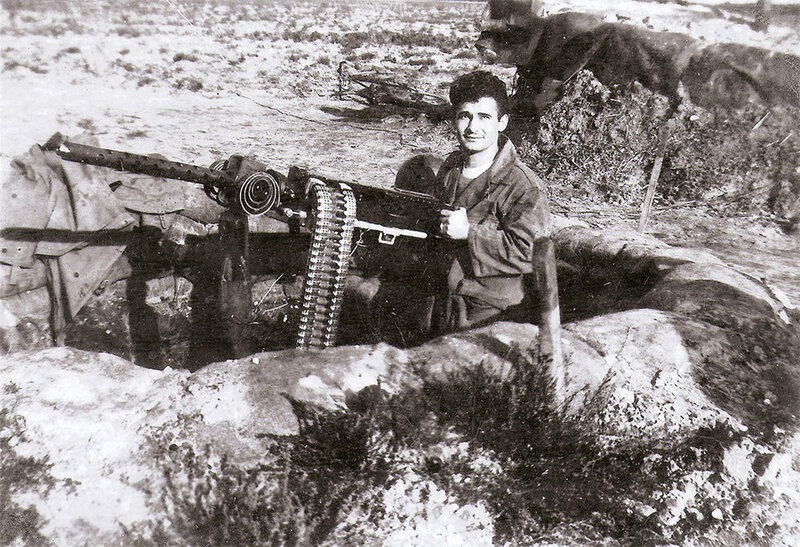 Paul Mico entered combat with the invasion of Normandy, and was unwillingly thrust into the role of platoon leader. Certain that he was going to die; he was even more frightened by the responsibility of keeping his men alive. After the massacre at Malmedy, Belgium where the Germans machine-gunned 84 American prisoners, Sergeant Mico and his men began a killing spree - the consequences of which indelibly changed his life.